Window cleaners can be pricey, so make your own using one part water and one part white vinegar. Just pop into a spray bottle, and away you go! However, beware of cleaning windows when the sun is high in the sky, as quick drying can cause streaks. Had a baked beans explosion? 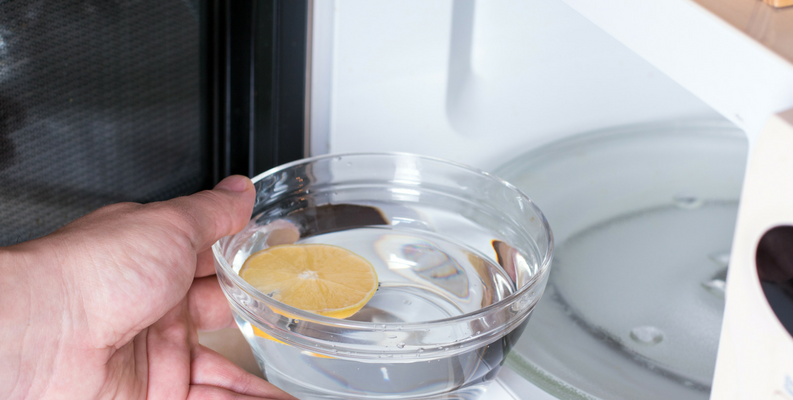 Clean out your microwave by adding lemon slices to a bowl of water, and heat in the microwave for five minutes. Once the time is up, give the microwave a wipe over with a wet cloth: easy peasy, lemon squeezy. Spring cleaning is the perfect time to turn your mattress over. Before you do, mix a little lavender oil with baking soda, sieve it onto the mattress and vacuum after one hour. Then flip! If you’re going to do a proper clean, you will need clean sponges. Clean them quickly by microwaving on a high setting for one minute. Alternatively, pop them in the dishwasher. Ink stains are easy to remove, all you need is some shaving cream and a clean, damp sponge. Rub the stain, add a little more water to rinse, leave to dry, then vacuum up. 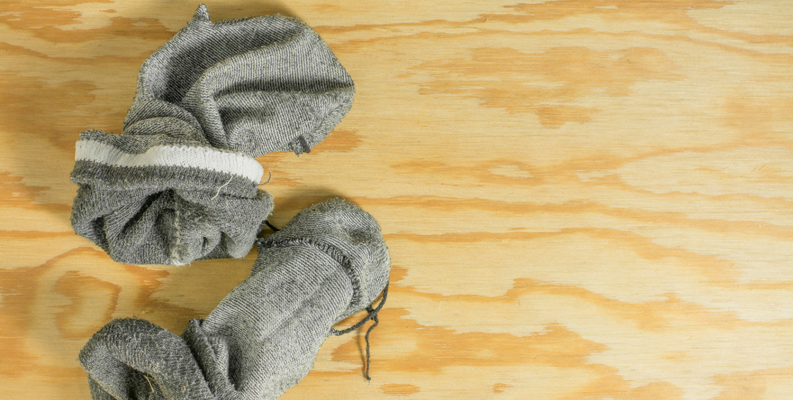 While cleaning out your wardrobes, make use of your old socks by transforming them into cleaning rags. Dampen with warm water or furniture polish, and use on furniture, windows, computer screens, floors, handles and blinds. 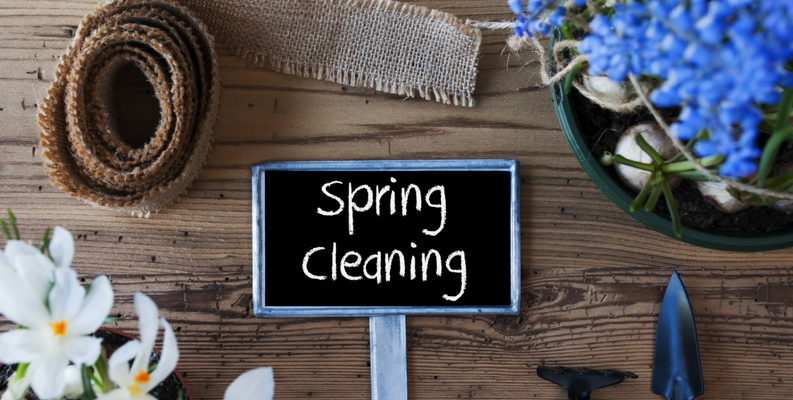 Spring cleaning is all about injecting a fresh dose of air into the home. Zap the nasty smells from your rubbish bin by sprinkling some baking soda, or vinegar, into the bottom of your bin, and lay down some clean newspaper to absorb leftover moisture. 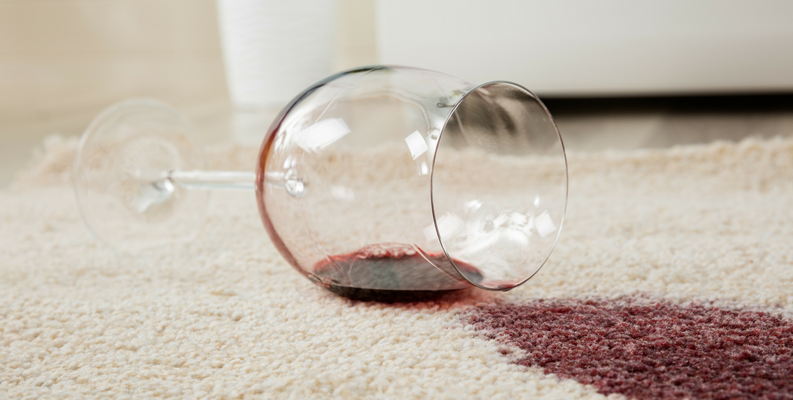 All you need to clean up red wine stains is a clean cloth, cold water and some salt. Dampen the cloth, cover it in salt and leave on the red wine stain for 15 minutes. Remember, you need to blot, not rub, as this could make it worse. Vacuum up when it’s dry. Shine up your shower head by filling a sandwich bag with baking soda and vinegar, and tie it around the showerhead with an elastic band. Soak it overnight and scrub with an old toothbrush in the morning. Just remember to take the bag off before your morning shower! Freshen up your carpet with a little nail polish remover. Pour a smidgen onto the damaged area and leave for 15 minutes, then scrape with a butter knife. If you have a dark carpet, you can spritz the area with hairspray. Wait a few seconds, then scrub. Voilà, good as new! You may not believe it, but cola is as great for cleaning as it is for drinking! Just pour it around the rim of your toilet bowl, let it sit for at least an hour, then flush: built-up stains should just flow away. Alternatively, fill a spray bottle with cola, and avoid getting your hands dirty. 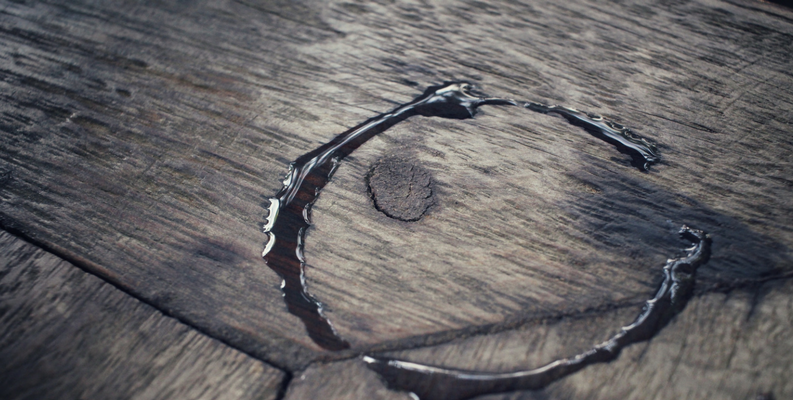 Erase water rings on wooden coffee tables by blasting them with heat for a minute or two until they disappear. Once it’s gone, rub a little olive oil to recondition the wood. This might seem counterintuitive, but you can actually clean oil marks with oil! Add a couple of drops (mineral oil is best, but vegetable oil can work just as well) to a paper towel and rub into the gunk. Once this is done, go over with an all-purpose cleaner for a super shiny surface! Dishwashers are for crockery, washing machines are for the clothes, right? Wrong! 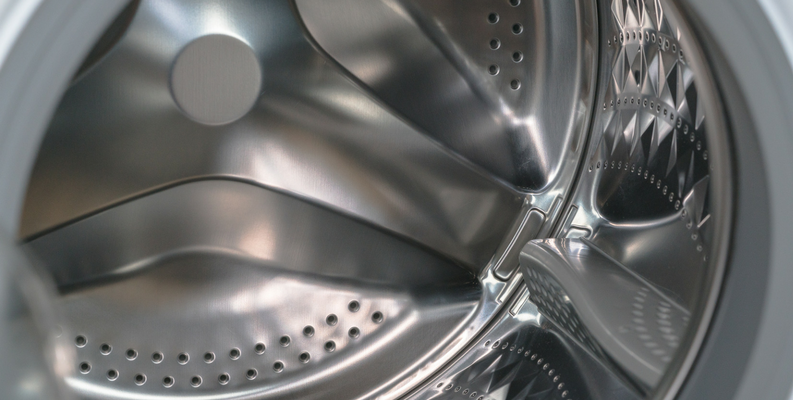 Add a dishwasher tablet to your washing machine every couple of months, and wash away the limescale from your drum. Pop a tablet into the washing machine drawer and wash on an empty cycle at 60 degrees. This trick involves using one part vinegar, two parts water, an iron, a clean rag and a spray bottle. Mix vinegar and water together in a spray bottle, then spray on the stain. Dampen the rag and lay it on top of the spot until the vinegar solution has completely seeped through. Without removing from the stain, iron the rag – using the steam setting – for about 30 seconds. Pull up the rag and the stain should come away. Mix a teaspoon of liquid soap with a few drops of essential oils (rosemary, tea tree or peppermint work best), some baking soda and a little water in a bowl. Form into a thick paste, then add to the bathtub with a sponge. Rinse clean and enjoy a beautifully scented bathroom! Over time, coffee makers can become grimy. To keep it clean, run a mixture of water and vinegar through your coffee maker in a normal cycle. Stop midway through and leave to sit for about an hour, then restart and run through with fresh water. Plain white chalk is excellent for absorbing grease: simply rub the chalk over the greasy stain, then wash as usual. This is a much cheaper and natural alternative to using laundry pre-soaks and scrubs. It works wonders on any clothing colour. Add a palm-sized amount of shaving cream to your household mirrors, and wipe off with a dry cloth. This works well on bathroom mirrors, in particular, as the foam can help prevent them from fogging up when you shower – bonus! Did you know you can use your dishwasher for more than just dishes? From contact lens cases to hair brushes; makeup brushes to pet dishes, you can clean lots of everyday household items in your dishwasher. 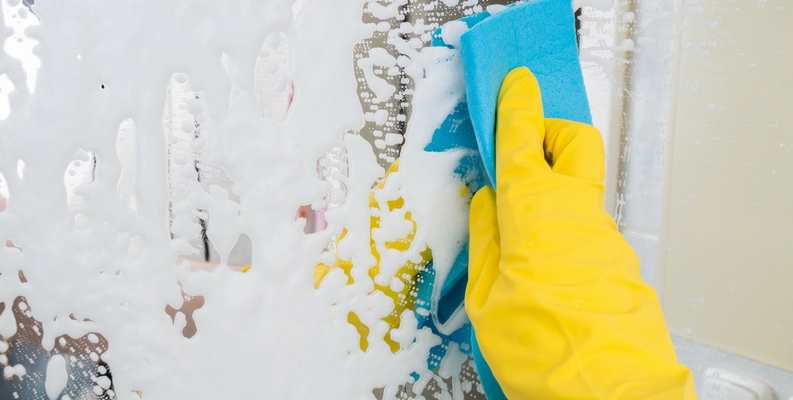 Do you know any spring cleaning hacks we haven’t mentioned? Let us know in the comments section, below!